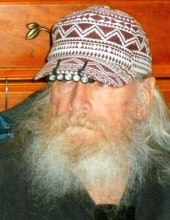 Thomas Henry Ellis, 82, of Marlboro Township died on Sunday, February 3, 2019 at Allaire Rehabilitation and Nursing Center, Freehold Township. He was born in Long Branch and resided in Freehold before moving to Marlboro 13 years ago. He served in the New Jersey Army National Guard. He was a truck driver for the Marlboro Township Road Department in the 1950’s and later for Joceda Dairy Farm, Marlboro Township. He was a truck driver for Holland and McChesney, Freehold for over 50 years. He is survived by a brother, John Ellis, Marlboro Township. Graveside services will be held at Holmdel Cemetery, 900 Holmdel Road, Holmdel on Thursday at 10:00 a.m. Higgins Memorial Home, Freehold is in charge of arrangements. To send flowers or a remembrance gift to the family of Thomas Henry Ellis, please visit our Tribute Store. "Email Address" would like to share the life celebration of Thomas Henry Ellis. Click on the "link" to go to share a favorite memory or leave a condolence message for the family.